Should My Child Take the ACT? We would need to know to make a specific ACT recommendation. But, in general, we recommend that our students take the ACT test. Here’s why: the verbal section of the SAT is comprised of a reading and grammar section that is identical in content. While ACT math does have a few variants compared to SAT math, the bulk of the math section is similar (K-8 math, geometry, Algebra). The only unique ACT section is the Science section and we usually only need a couple of hours to train our ACT students. We recently gave a speech on the subject in Guilford, CT. As we noted, for many the answer is a simple “yes”. Many guidance counselors in Connecticut and Westchester County schools advise this, too. The main reason: there is nothing to lose. If the test goes poorly, then the student simply does not need to submit the score to the school. If it goes well, then the student has an additional way to present his case for college admissions. Also many schools accept the ACT as a substitute for either SAT I or SAT II scores. Having the ACT as a hedge for either score creates wonderful flexibility. Moreover, many of our students have done a good amount of generalized test prep (reading, writing and grammar) that overlaps with the content on the ACT. Given the relatively minimal additional prep needed (science) the time cost v. benefit analysis weighs toward taking the test. Finally, for most students applying to competitive colleges, it makes sense to maximize the possibility of admission by taking the ACT and then comparing it to the SAT. Our first caution is that the student should have time to prep for the ACT test. 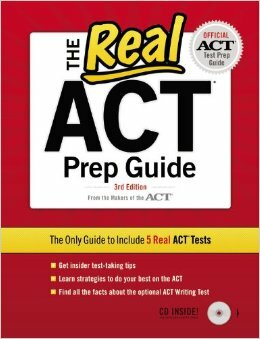 We have encountered many students who were glibly told by their advisors to take the ACT because its the “easier” test. Bad advice. You have to prepare. 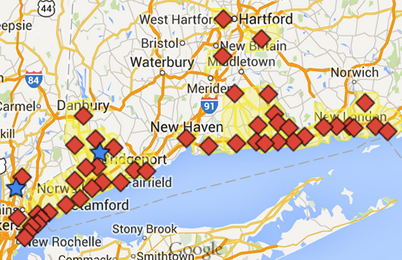 We recall one student from Madison, CT who walked into the ACT test without any preparation. Her performance was dreadful — not because the material was so hard, but because she did not practice under ACT timed conditions. While recognizing that we are showing some Northeastern bias, we have to say that there is some truth to the notion that the students in our area have a chance to score high. Since the test is curved and since more students from the South and Midwest take the test, those from locations such as Shoreline and Fairfield CT and Westchester County have an advantage. We are not suggesting any difference of intelligence in the people in the various regions of the United States. But there is no doubt that there is a greater competitive environment in schools in the Washington, DC, New York and Boston suburbs and Shoreline, CT, than in places in the middle of the country. Our second caution is that there is an “energy” issue that must be considered. Students are busy. Many do not have time to prepare for all these tests. For example, if a student has done very well on the SAT, then there is no compelling reason to take the ACT. Many will be advised, nonetheless, to take the ACT, too. However, if the student does not have the time to prep adequately, then taking the ACT might simply amount to a wasted day. Also keep in mind that time spent studying for the ACT is time that could have been spent preparing for the SAT. With that said, those that do well on the SAT, typically, also do well on the ACT. For that reason, if they have the time to prep for the ACT, they might as well go for it. The third caution is based on anecdotal evidence from numerous writers on the subject and our own conversations with admissions officers. There is a subconscious bias in favot of the SAT among many, if not most, admissions officers, particularly at top schools. Why? There is simply an assumption that if a student is only turning in ACT scores, then they must not have done as well on the SAT. For those students who did very well on the ACT, the bias will likely not hinder them too much. But for those who did only reasonably well on the ACT, and only a touch better than they did on the SAT, they might be wise to consider this bias. With all that said, many wise guidance counselors and college advisors in Shoreline, CT will agree that the students should take the ACT — but only if they are well prepared. Test prep methodology is very similar for the SAT and the ACT. The ACT consists of English; Math, Reading, and Scientific Reasoning sections. The SAT consists of Verbal (Reading and Writing and Language (grammar). The ACT has more standard knowledge questions in math (hence its reputation, somewhat overstated, that the ACT tests knowledge more than problem-solving, compared to the SAT). The ACT requires a greater understanding of basic trigonometry. This can be part of the problem when we are preparing students who were hopeful that the ACT would be a lot easier. If the student has not done Algebra II/trigonometry yet, then we need to teach about 10% of the math section. The ACT math section actually requires students to work more quickly (60 questions in 60 minutes). For that reason, we also work on speed with ACT test-takers. The revised (and now current) SAT has a no calculator section and is more aligned with the Common Core than it was before. For that reason, the difference between SAT and ACT math are no less than ever. Scientific Reasoning is the most unique section of the ACT. Oddly enough, and again undercutting its reputation for “testing what you know,” the ACT actually does not require any knowledge gained in science classes. The section is essentially data interpretation of charts, graphs, and experiments. It looks very difficult at first glance. But with preparation, it actually is reasonably easy, in part, because, we have a discovered a technique that makes the section very manageable. For example, we recently held an ACT group class in Waterford, CT. The students really disliked science and were worried that the science section would really hinder them. While the students were initially worried about the format, they gradually learned that most of the work was simple data interpretation. Ultimately, they did very well.